Astronomer Nicholas Copernicus born in Torun, Poland. The first rescuers party reach the Donner Party. Surrealist André Breton born in Tinchebray, France. Actress Merle Oberon born in Tasmania, Australia. 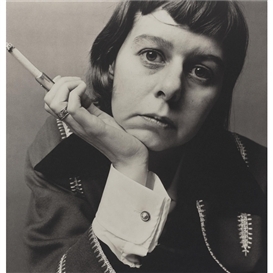 Author Carson McCullers (The Heart is a Lonely Hunter) born in Columbus, Georgia. American author, fashion designer and socialite C. Z. Guest born in Boston, Massachusetts. Film director John Frankenheimer (Manchurian Canidate) born in Queens, New York. Actor Lee Marvin (Cat Ballou) born in New York City. Singer Smokey Robinson born in Detroit, Michigan. Poet Ezra Pound is awarded the first Bollingen Prize in poetry by the Bollingen Foundation. Singer Lou Christie is born in Glenwillard, Pennsylvania. Malcolm Lowry's Under the Volcano was published. Beatlemania - England flies one ton of Beatle wigs to US. Paul Simon writes The Sounds of Silence.